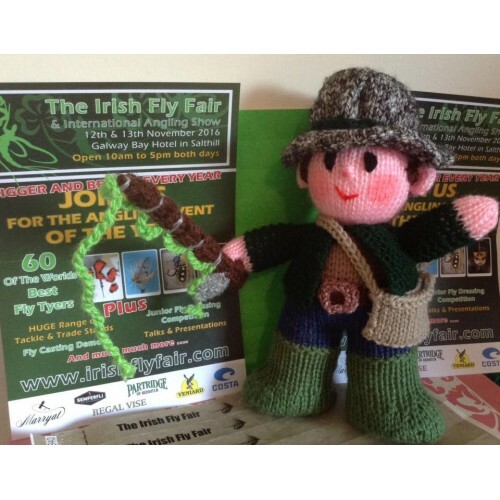 This doll was first designed for The Irish Fly Fair & Angling Show. This show is in its 8th year and will be on the 11th & 12th November 2017 in the Galway Bay Hotel, Salthill, Galway, Ireland. The fisher dolls have been very popular with fishermen & women all over the world. I decided today that I would commit it to paper and make this knitting pattern available. I have tested the pattern and it knits up beautifully.